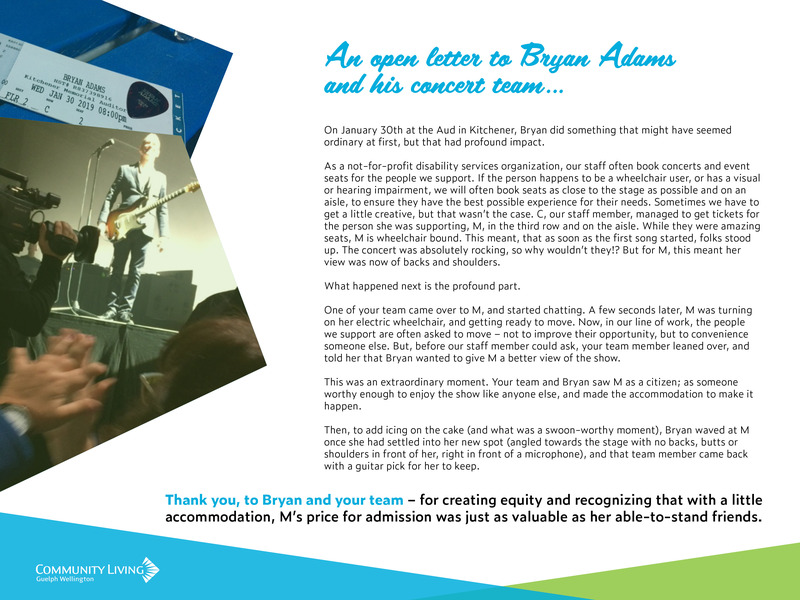 Open Letter to Bryan and his team… in a moment, you did something that may have seemed ordinary and right. This moment, though, was extraordinary for us. You and your team saw the person we support as a citizen; as someone worthy enough to enjoy the show like anyone else, and made the accommodation to make it happen. Thank you for creating equity and recognizing that with a little accommodation, M’s price for admission was just as valuable as her able-to-stand friends. That’s what the people we support have dreamed up for their Guelph Community Living Centre. This space, more commonly known as the ARC Industries building in Guelph, is a gathering place for the people we support. It offers a variety of learning opportunities and day services, and acts as a starting point and hub for the people we support as their find the things that matter most to them in the community. The charity with the most votes will receive a $500 prize to be used towards their cause. 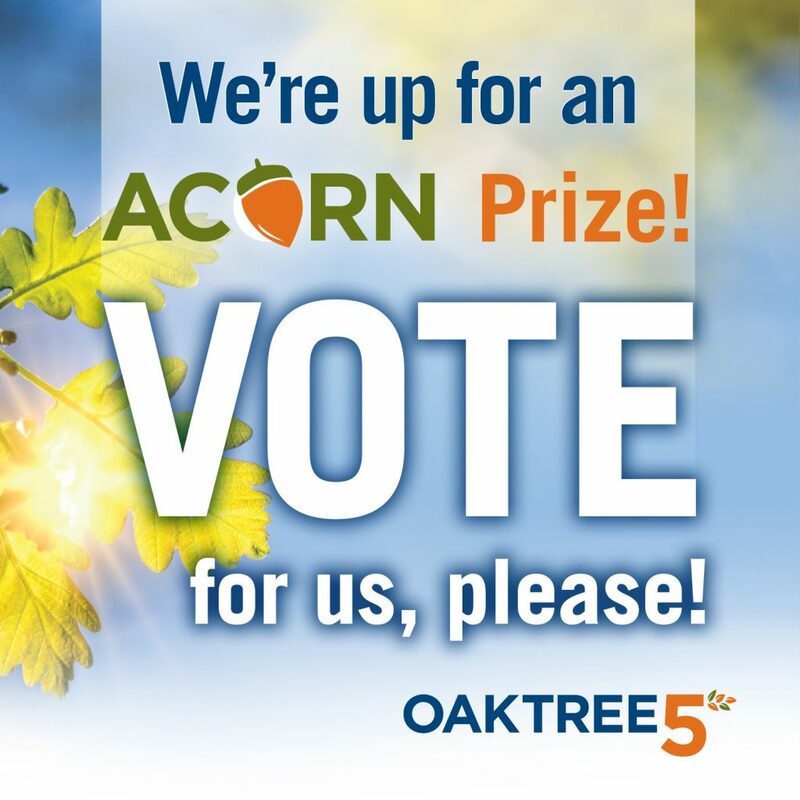 Your vote will help the people we support make the Guelph Community Living Centre feel more like their own. all in support of Community Living Guelph Wellington. Players initial Buy-In Ticket is $40.00. All ticket money will be paid out to the top six players. During the first hour, players may re-buy for $20.00 as many times as they want. At the first hour break, players may stack up. Stacks are $20.00 for 2000 chips, or $40.00 for 5000 chips. Proceeds from re-buys and stacking up goes to Community Living Guelph Wellington. Refreshments will be available through the Guelph Curling Club, at the bar. Thanks to amazing community support and engagement, we are excited to share we will be purchasing a new adaptive van in early 2019. With nearly $75,000 raised this past year, we have met our goal. Thank you, thank you, thank YOU! Your support this past year means that more people we support, are accessing the things that matter most to them. It truly takes a village, and we are grateful that you’re a part of our village.